Apple announced a lot of things, but only one material product - the titanium Apple Card. 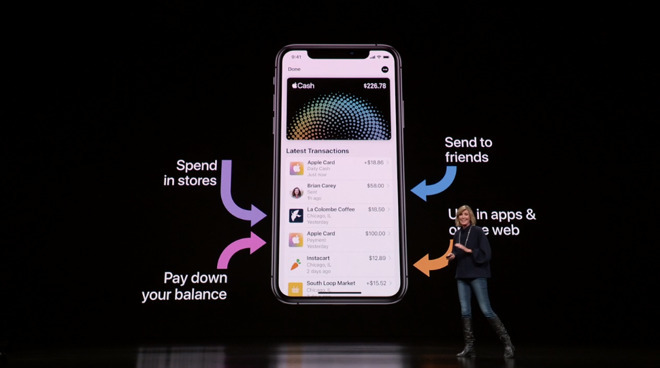 Victor is excited about the potential for good personal finance guidance, Dan is more optimistic about the spread of Apple Pay with rewards as an incentive. Apple News+ is a service where we're still learning what will or won't be possible to be distributed through it, but the concept of machine learning recommendations with human curation for news quality seems like a win. Publishing is changing, and Apple has certainly tried to be the future of publishing in the past. Maybe this is the attempt that works? Apple Arcade: Victor is in love with the idea of games that are paid apps, games that attempt to tell stories other than first-person shooters, having a chance to be art. Apple TV+ is the streaming service we've been talking about all these months. We don't know exactly when it will debut, and Dan has some question as to whether iTunes is going to be on the third party TVs or this TV service will be there, exactly. Victor thinks there are some good shows in the works, but is concerned about the costs Apple might ask. Dan isn't, thinking Apple knows how to price accordingly.